Ok I am loving working on this project! Why have I never scrap booked before!? I love getting creative and making memories all in one. I know that a few years down the road I am going to be really happy I made this little book to flip through. 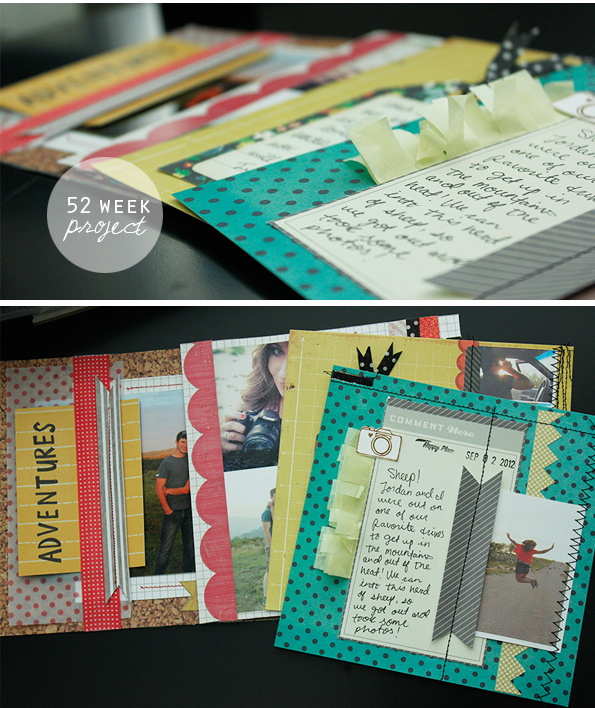 Every Tuesday I will have a new page posted in the "52 Week" tab! Does anyone scrap book//blog? I would love it if you leave a comment so I can check out your blog! I love this idea, Im making my own scrapbook with my bf and when he gave me the book I didn't know how to start. Hugs!! and greetings from the last place of the world, Chile! I love the cork paper that you use in so many of your projects. Where did you find it?